Seriously. I HATED making it. I think my biggest mistake was trying to beat it like you do with American buttercream. The cream cheese does NOT like that. The cooler you can keep it while still beating it smooth, the better! Happy Baking, my friend! 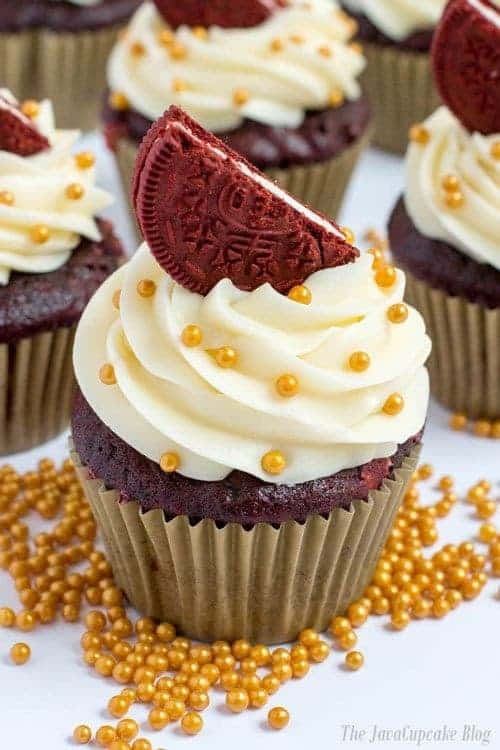 looks amazing mmmm i will try it…..what recipe did u use for cup cakes? The recipe for these cupcakes will be on the blog later this week. Stay tuned! You’re always one of my best supporters, Kayle!! xxoo Thank you! Approximately how many cupcakes does this frost? Thank goodness I found your recipe in the nick of time!! I was baking for an international school function (live in France but originally from America) and my usual well loved recipe failed big time… runny and liquidly! Panic!! I googled some other recipes and found yours! Worked perfectly!! THANK YOU!!! 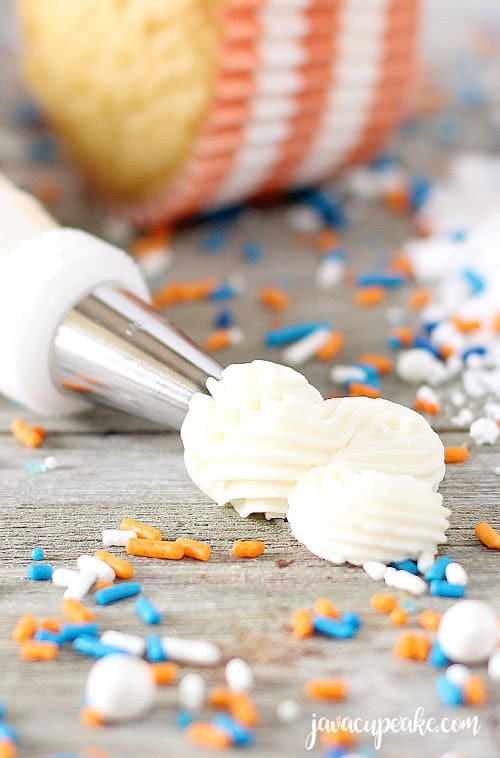 My new go to icing recipe!! Hi can i add gel color to this frosting? Can you use regular whole milk if you don’t have heavy cream? What does heavy cream do for the frosting? Also will this be good for making a rose type swirl on red velvet cupcakes? Thank you! Thank you! This recipe is awesome! I’ve been using it since February 2017. It freezes well too! Just take it out the freezer and place it on your counter top to defrost and put it back in the mixer and whip it. One more question, can this be used to frost a red velvet cake? Will this frosting be good for an outdoor party? Meaning it won’t run? Noemi – It depends on the weather. If it’s a warm day, no. 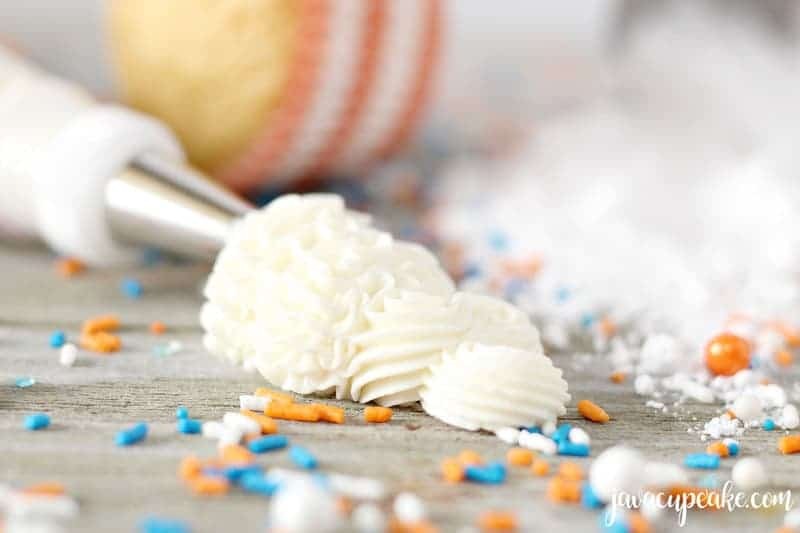 Cream cheese frosting is very soft already and adding heat to any recipe will make it run. I’d suggest leaving the cupcakes indoors where it’s cool until ready to serve. Thank you for your quick reply … One more question will it work for a naked layered cake it won’t get too soft and run down for a five tier cake I will putting frosting in between each layer. I don’t have paddles for my mixer will my normal mixers work? Whatever attachment you have for your stand mixer will be okay (except the dough hook – don’t use that). If you’re using a hand mixer, the attachments on there should work just fine. Might take a little longer mixing by hand, but yes… you can do it! 🙂 Happy Mixing! What’s the best way to store overnight? In the fridge… then bring it to room temperature before you’re ready to pipe it. You may need to whip it a bit again before piping. Will this recipe work for any piping tip or just specific designs? If it’s too hot in your house, it may not work will with a large round tip. However, I don’t see why it wouldn’t work with any tip if it’s cool in your house and it doesn’t get too soft! My frosting keeps turning out lumpy what am I doing wrong? What is the temperature of the cream cheese? If it’s too cold, it won’t cream. I’m trying to use carrot cake cupcakes with this piped on. It looks delicious. Can I pipe night before if I have a way to keep cold? Sure. 🙂 Just keep them in the fridge! How did they turn out? I am thinking of doing the same thing. This recipe saved my daughters birthday cake! It was such a tasty hit and looked beautiful. Your tips were super helpful, Thank you! Would this recipe work to pipe flowers? 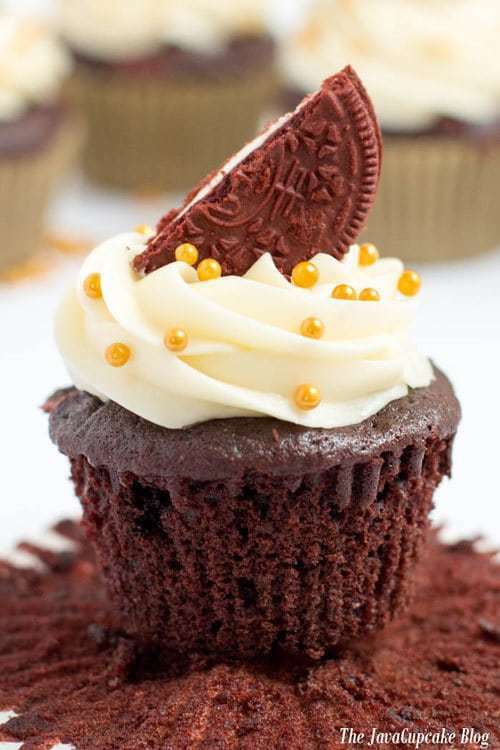 Or would you recommend using normal stuff Buttercream instead? I’m planning a birthday cake with cream cheese icing. Hi Amy… probably not. I’d stick to buttercream. 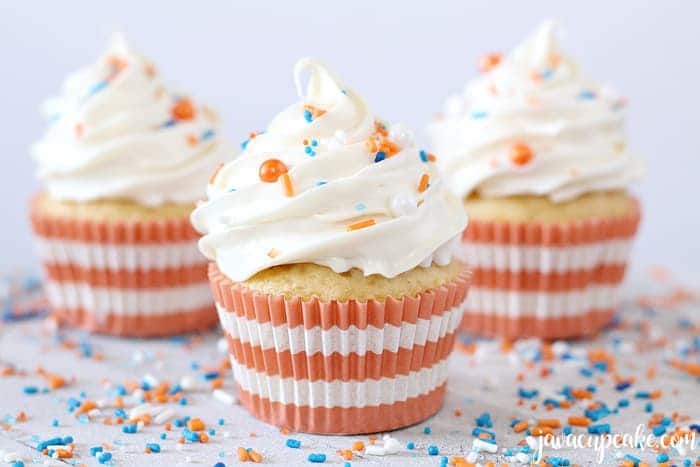 I would suggest using a buttercream like this one, https://javacupcake.com/2017/09/wonder-woman-cookies… I add a bit of shortening to it to help it crust and keep it’s shape. 🙂 Happy flower making! 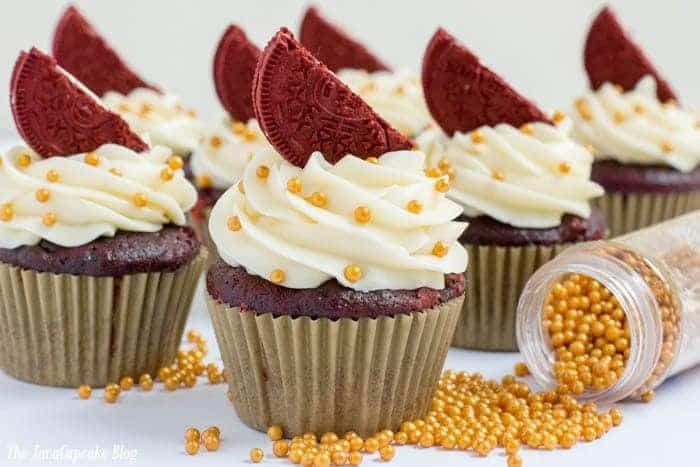 I searched and read through so many cream cheese recipes that would hold it’s shape as I attempted to decorate cupcakes and I found every tip helpful…end product scrumptious and beautifully decorated cupcakes. Thank you for your recipe! WHAT IF YOU DO NO HAVE A STAND MIXER? I only have a hand mixer!!!! Made it, decorated my cake with it. I didn’t add any milk or vanilla just because I forgot. When I added the gel color it seemed to thin it out but still piped fine! Wish I could post a pic. Does anyone know if the icing can be made the day before and stored to frost a naked cake the next day? What kind of butter do you use? I never know what kind of butter I need, i use the Crisco butter but not sure if it’s the one you use. Where is the recipe? All I see are tips. HELP! 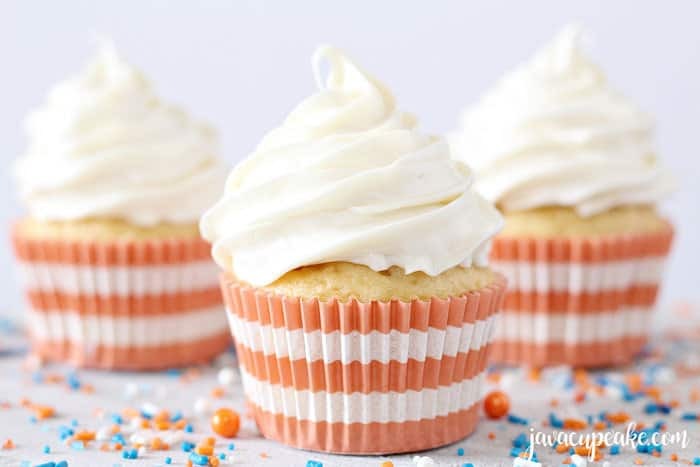 Is the Pipeable Cream Cheese frosting the same recipe as Jenn’s JavaCupcake Honey Cream Cheese Frosting? 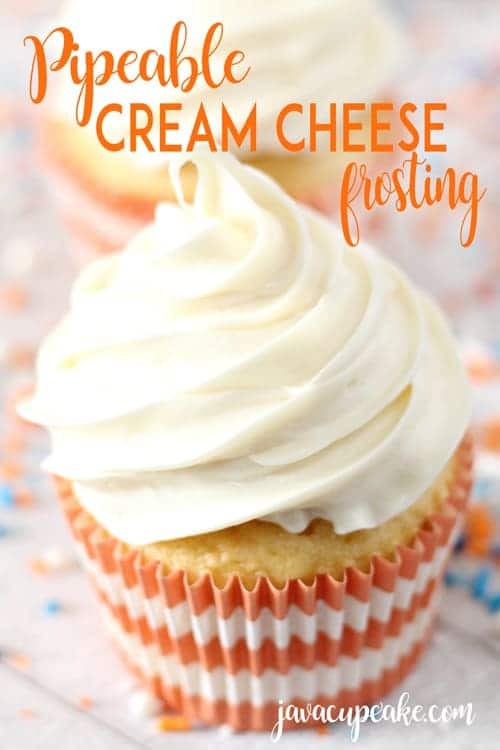 If not, I do not see the pipeable cream cheese frosting recipe posted or a link. Can you provide link in a reply?? 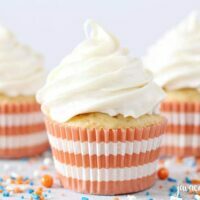 Hi, I always use this recipe for my cakes and cupcakes, but now that I’ve revisited your site there’s no recipe card for this frosting anywhere on this page! Can someone please tell me what the ingredients and measurements are?